An extraction involves removing the tooth. If your pulp has died or the tooth has become severely infected, extraction may be your only route. Depending on the tooth, the dentist can do either a simple extraction or a more complicated extraction. These types of extractions, the simple extractions, are the most common in the world of dentistry. Simple extractions, don't take long to complete. The dentist will numb you before he starts, so you won't feel anything. Depending on the tooth, removing it will normally take just a few minutes after you have been numbed with local anaesthesia. 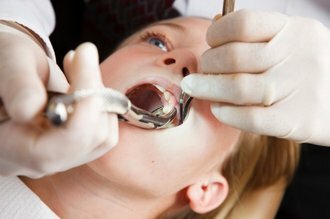 Once completed, the dentist will place gauze in your mouth to bite on and give your detailed instructions for post op care before you go. As we all know, not all teeth can be easily removed. Sometimes, the tooth will be impacted, decayed or broken off and the dentist will have nothing to grasp above the gum line. In cases such as this, the dentist will need to perform a more complicated surgical extraction, which involves getting the tooth out below the gum line. Occasionally a suture may be required to close the tissue. Dr. Shabana Zahir is dedicated to providing compassionate, pain-free dental care. If you are experiencing toothaches and would like to learn more about your treatment options, please set up an appointment with us today by calling 757-962-7000.